K9 Quackers doesn't just bring you a team of talented sheepdogs but also a team of talented ducks!! 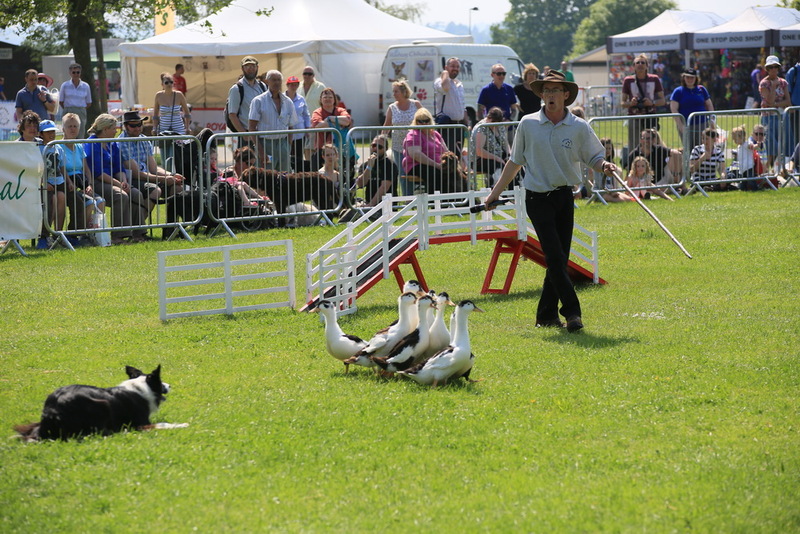 This entertaining sheepdog and duck herding display is a favourite of audiences of all ages. 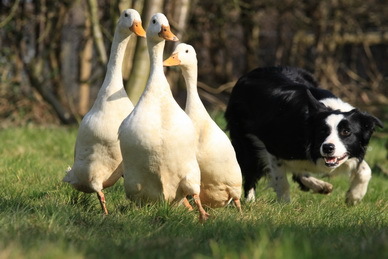 Watch how Richard and his sheepdog sidekicks herd the ducks through a variety obstacles. Then make a bet on the winner of the "Duck Derby"
This sheepdog duck herding display is duck-u-tainment at its very best with his own commentary Richard engages the crowd with each set of duck's personalities. The audience is encouraged to participate throughout the demonstration and children are encouraged to come into the ring to help out during the displays. 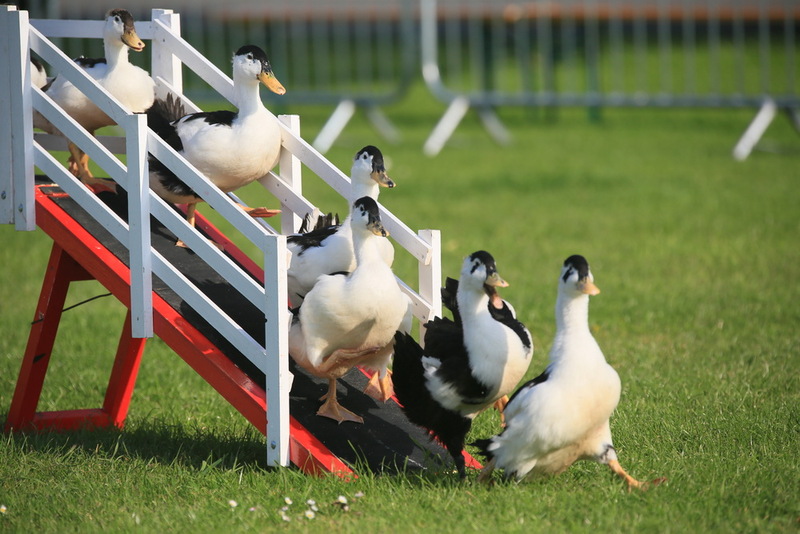 This sheepdog display uses music throughout to accompany each set of ducks. The show can cater for fetes, country shows, carnivals, agricultural shows, private events and in addition K9 Quackers is available for corporate work. Sheepdog handling and duck herding are ideal for corporate team building as participants will need to communicate with each other as well as a four legged assistant.